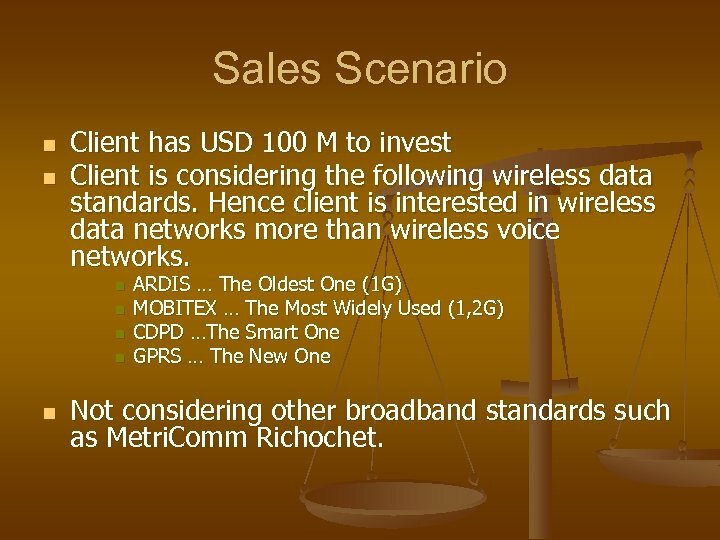 Sales Scenario n n Client has USD 100 M to invest Client is considering the following wireless data standards. 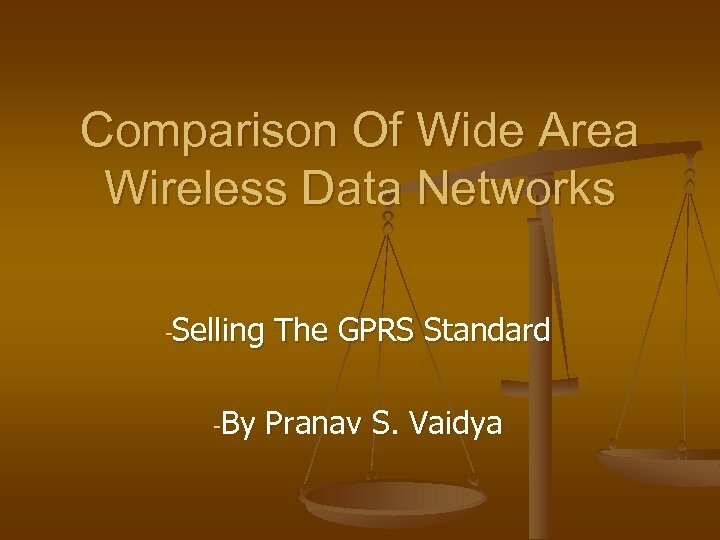 Hence client is interested in wireless data networks more than wireless voice networks. 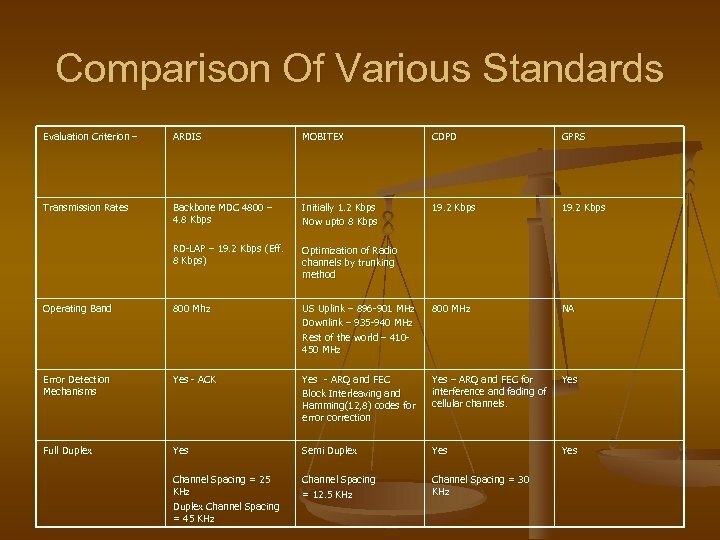 n n n ARDIS … The Oldest One (1 G) MOBITEX … The Most Widely Used (1, 2 G) CDPD …The Smart One GPRS … The New One Not considering other broadband standards such as Metri. Comm Richochet. 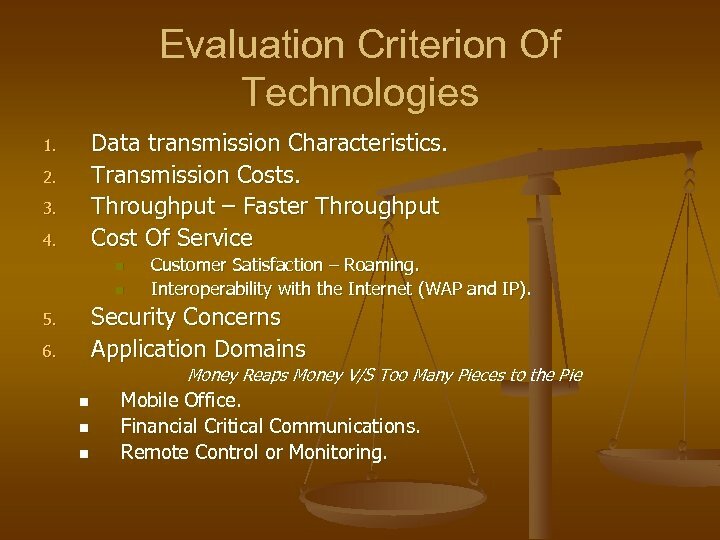 Evaluation Criterion Of Technologies Data transmission Characteristics. Transmission Costs. Throughput – Faster Throughput Cost Of Service 1. 2. 3. 4. n n Customer Satisfaction – Roaming. 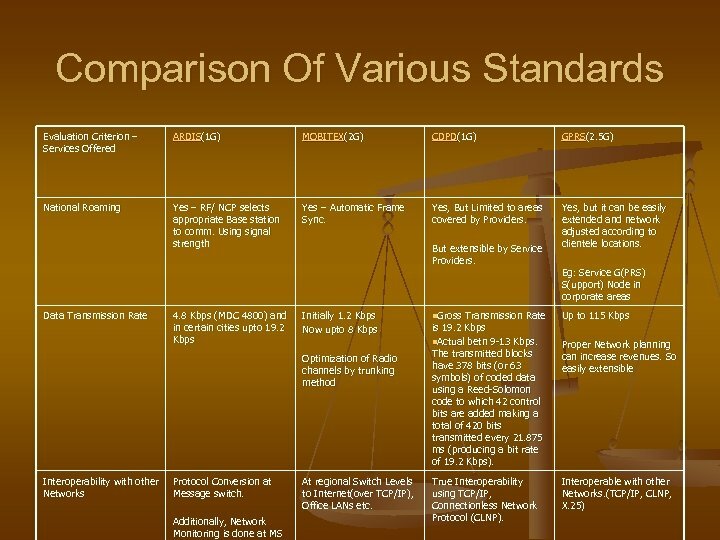 Interoperability with the Internet (WAP and IP). 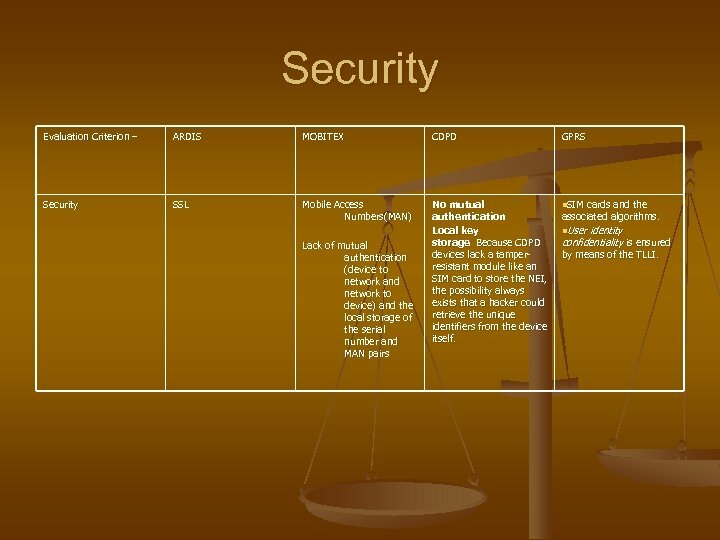 Security Concerns Application Domains 5. 6. Money Reaps Money V/S Too Many Pieces to the Pie n n n Mobile Office. Financial Critical Communications. Remote Control or Monitoring. 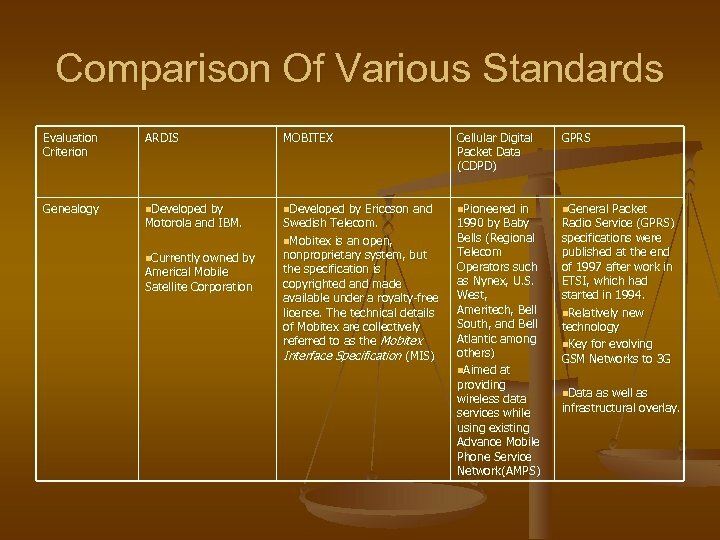 Comparison Of Various Standards Evaluation Criterion ARDIS MOBITEX Cellular Digital Packet Data (CDPD) GPRS Genealogy n. Developed by Ericcson and n. Pioneered in n. General Packet Motorola and IBM. n. Currently owned by Americal Mobile Satellite Corporation Swedish Telecom. n. Mobitex is an open, nonproprietary system, but the specification is copyrighted and made available under a royalty-free license. 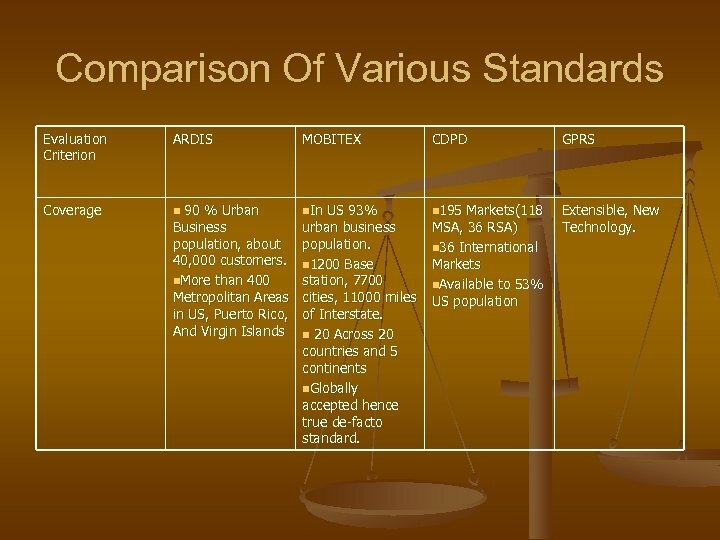 The technical details of Mobitex are collectively referred to as the Mobitex Interface Specification (MIS) 1990 by Baby Bells (Regional Telecom Operators such as Nynex, U. S. West, Ameritech, Bell South, and Bell Atlantic among others) n. Aimed at providing wireless data services while using existing Advance Mobile Phone Service Network(AMPS) Radio Service (GPRS) specifications were published at the end of 1997 after work in ETSI, which had started in 1994. n. Relatively new technology n. Key for evolving GSM Networks to 3 G n. Data as well as infrastructural overlay. 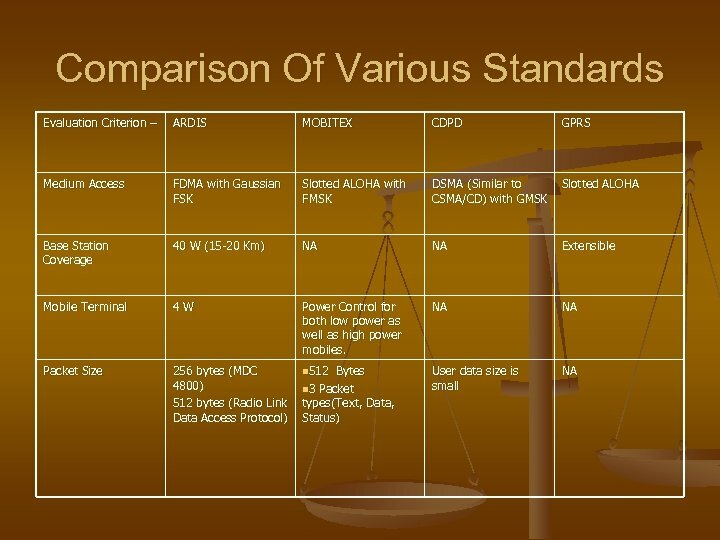 Security Evaluation Criterion – ARDIS MOBITEX CDPD GPRS Security SSL Mobile Access Numbers(MAN) No mutual authentication Local key storage Because CDPD devices lack a tamperresistant module like an SIM card to store the NEI, the possibility always exists that a hacker could retrieve the unique identifiers from the device itself. 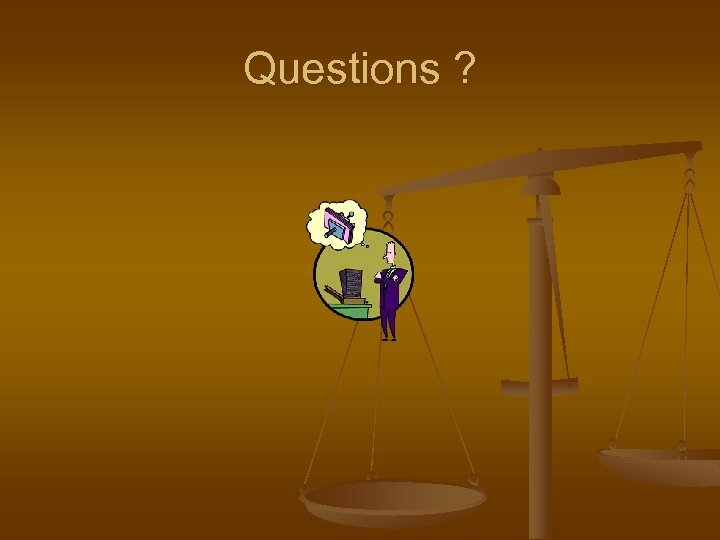 n. SIM cards and the Lack of mutual authentication (device to network and network to device) and the local storage of the serial number and MAN pairs associated algorithms. n. User identity confidentiality is ensured by means of the TLLI. 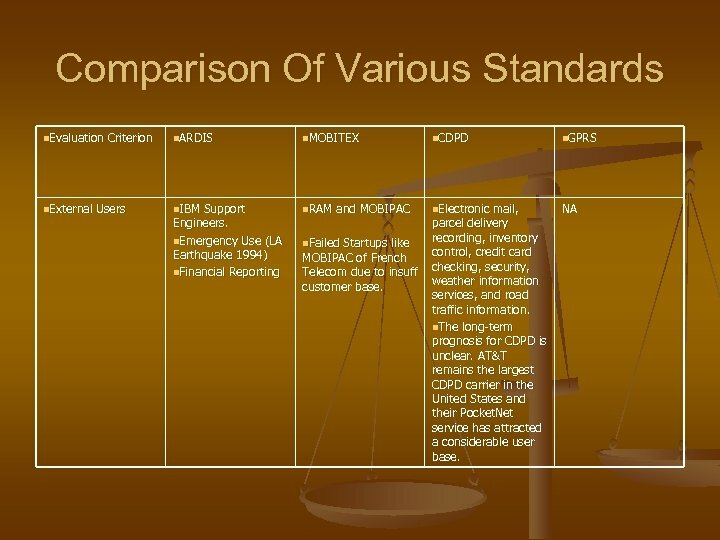 Comparison Of Various Standards n. Evaluation Criterion n. ARDIS n. MOBITEX n. CDPD n. GPRS n. External Users n. IBM Support n. RAM and MOBIPAC n. Electronic mail, NA Engineers. n. Emergency Use (LA Earthquake 1994) n. Financial Reporting n. Failed Startups like MOBIPAC of French Telecom due to insuff customer base. parcel delivery recording, inventory control, credit card checking, security, weather information services, and road traffic information. n. The long-term prognosis for CDPD is unclear. AT&T remains the largest CDPD carrier in the United States and their Pocket. Net service has attracted a considerable user base. 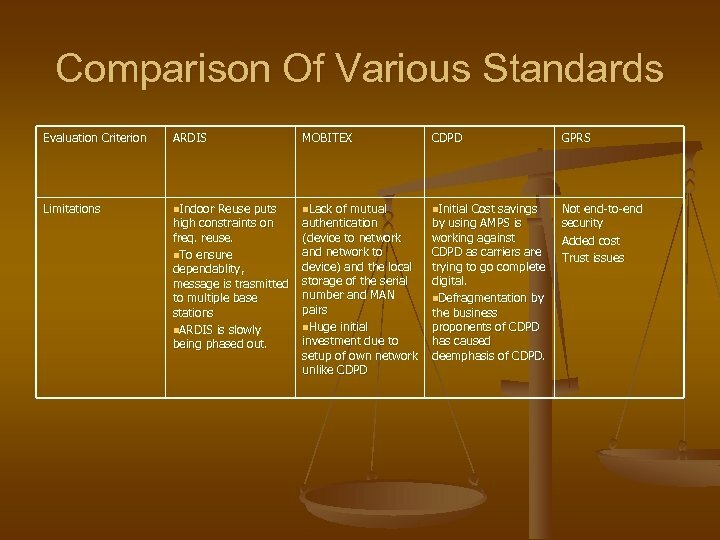 Comparison Of Various Standards Evaluation Criterion ARDIS MOBITEX CDPD GPRS Limitations n. Indoor Reuse puts n. Lack of mutual n. Initial Cost savings Not end-to-end security Added cost Trust issues high constraints on freq. reuse. n. To ensure dependablity, message is trasmitted to multiple base stations n. ARDIS is slowly being phased out. authentication (device to network and network to device) and the local storage of the serial number and MAN pairs n. Huge initial investment due to setup of own network unlike CDPD by using AMPS is working against CDPD as carriers are trying to go complete digital. n. Defragmentation by the business proponents of CDPD has caused deemphasis of CDPD. 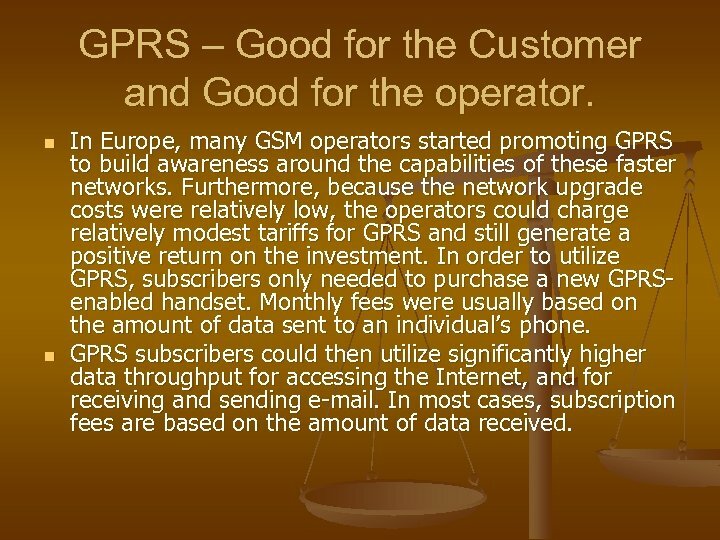 GPRS – Good for the Customer and Good for the operator. n n In Europe, many GSM operators started promoting GPRS to build awareness around the capabilities of these faster networks. 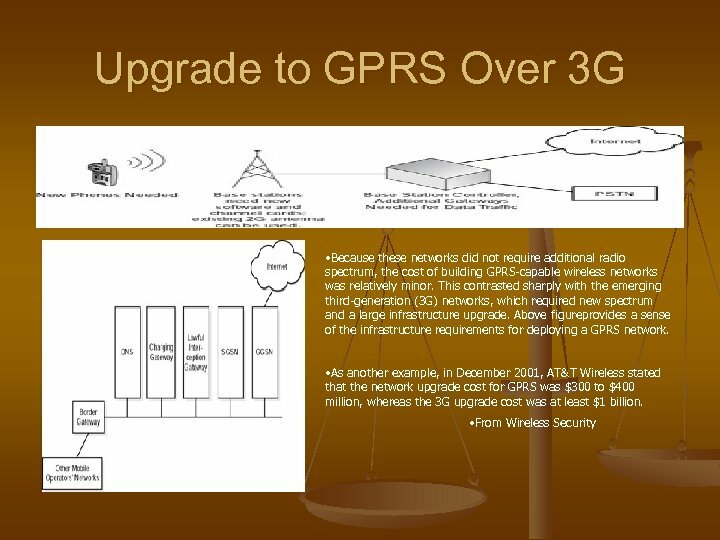 Furthermore, because the network upgrade costs were relatively low, the operators could charge relatively modest tariffs for GPRS and still generate a positive return on the investment. In order to utilize GPRS, subscribers only needed to purchase a new GPRSenabled handset. Monthly fees were usually based on the amount of data sent to an individual’s phone. 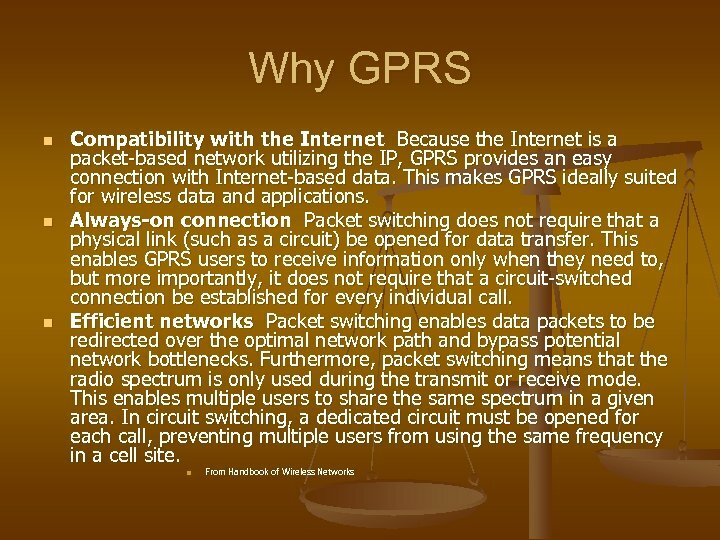 GPRS subscribers could then utilize significantly higher data throughput for accessing the Internet, and for receiving and sending e-mail. In most cases, subscription fees are based on the amount of data received. Other Advantages 1. 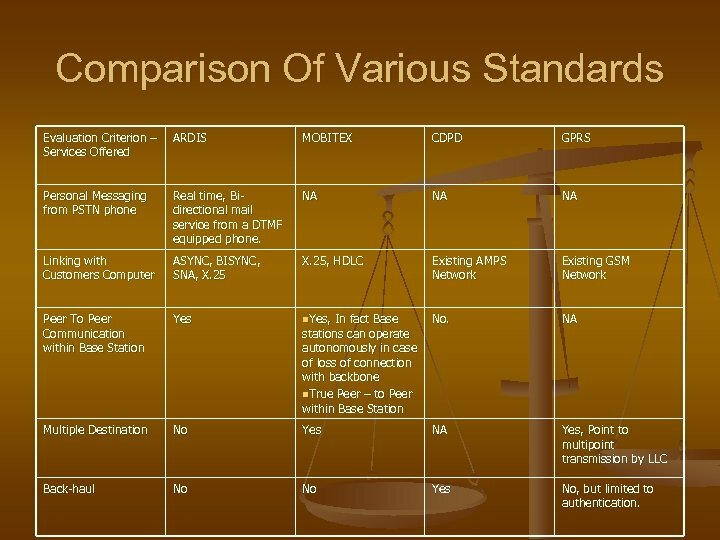 Network Protocols 2. Subnetwork Dependant Convergence Layer. 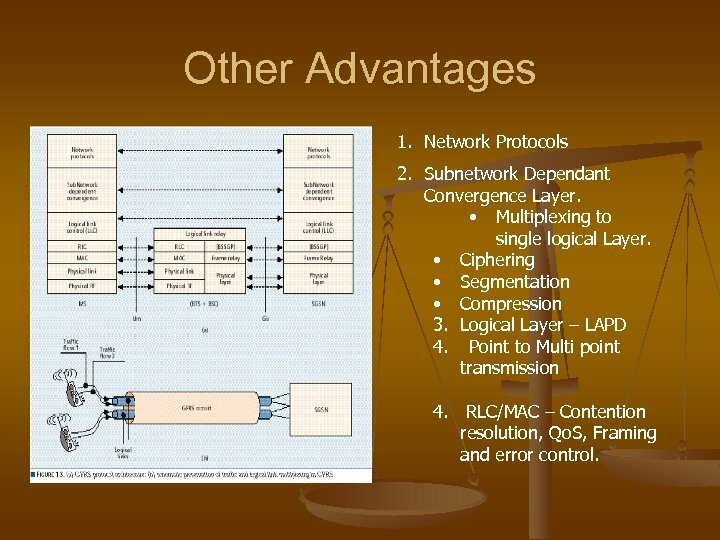 • Multiplexing to single logical Layer. • Ciphering • Segmentation • Compression 3. Logical Layer – LAPD 4. Point to Multi point transmission 4. RLC/MAC – Contention resolution, Qo. S, Framing and error control.